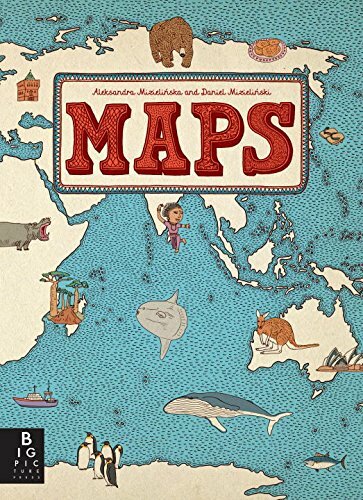 If you’re introducing your child to maps, these map books for children will get you going! Teaching maps and geography to kids helps ground them to where they are in the world and where others live. I love that when we talk about geography we talk about culture, we talk about the skills of map reading, and we talk about how the world is bigger than just ourselves. In addition to offering recommendations of map books for children that kids will love and learn from, I’ve teamed up with some fellow bloggers to offer you homeschool and in-class map unit study resources! 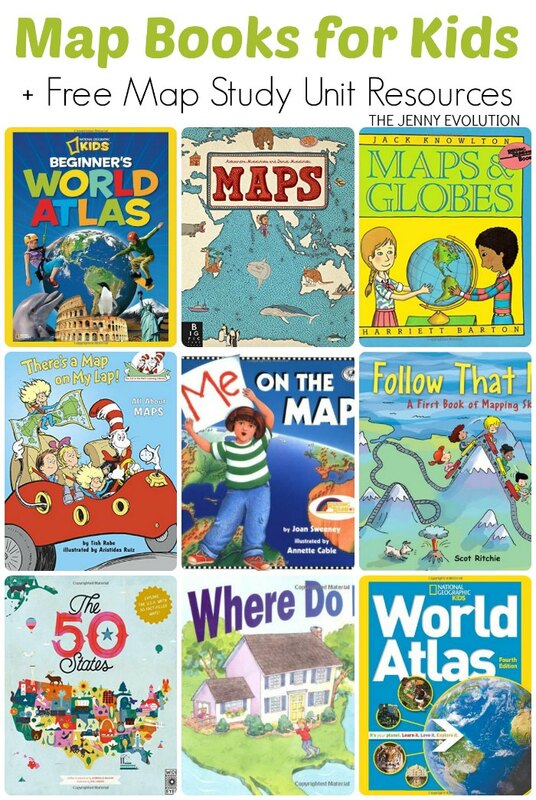 Find these map books for children at your local library or purchase through the affiliate links provided for your convenience. Follow That Map! 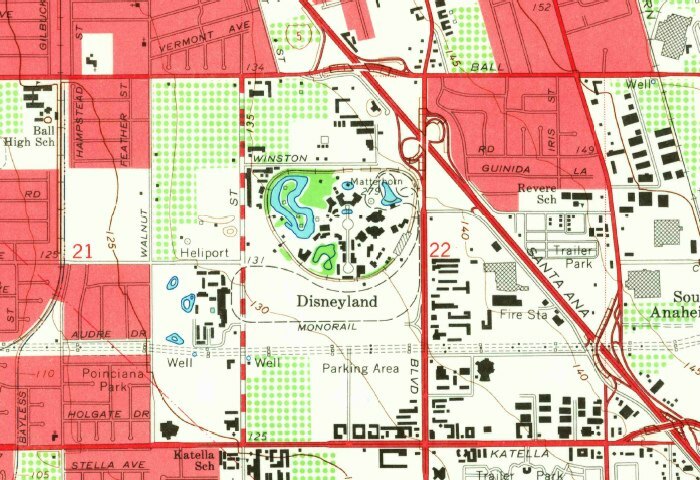 : A First Book of Mapping Skills: Maps are about far more than getting from a to b. Maps can help children understand and explore both their everyday environment and faraway places. With an appealing search-and-find technique, Follow That Map! 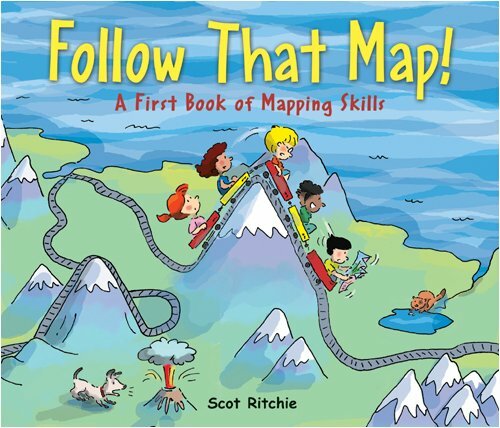 is an interactive picture book that explains and demonstrates key mapping concepts. Kids will enjoy following Sally and her friends as they search for Max and Ollie, a mischievous dog and cat on the lam from the backyard. Sally and friends take an imaginative trip through the neighborhood, city and country, around the world and beyond. Maps: This book of maps is a visual feast for readers of all ages, with lavishly drawn illustrations from the incomparable Mizielinskis. It features not only borders, cities, rivers, and peaks, but also places of historical and cultural interest, eminent personalities, iconic animals and plants, cultural events, and many more fascinating facts associated with every region of our planet. 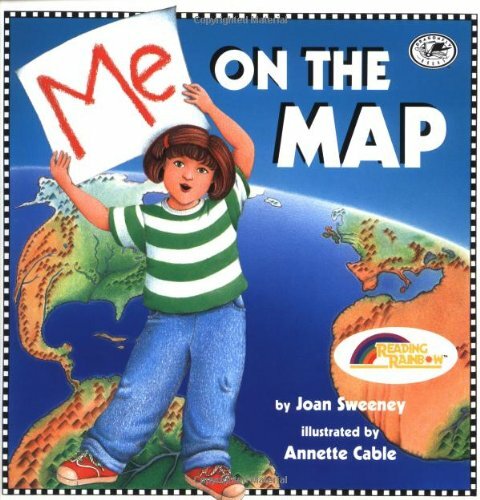 Me on the Map: In this playful introduction to maps and geography, step by simple step, a young girl shows readers herself on a map of her room, her room on the map of her house, her house on the map of her street–all the way to her country on a map of the world. Once the reader is familiar with the maps, she demonstrates how readers can find their own country, state, and town–all the way back to their room–on each colorful map. Easy-to-read text, bright artwork, and charming details give children a lot to search for and will have them eager to help navigate on the next family vacation. Montessori: Map Work: As with all things Montessori, students begin with the concrete and move to the abstract. When learning geography, students first develop an understanding that the earth is a round globe, made up of land and water. They then manipulate the shape of each continent before addressing its name and location.Montessori: Map Work introduces readers to the seven continents via textured edges to trace with their fingers, modes of transportation between each one for spatial context, and illustrated native animals for relevant and meaningful associations. Young children will absorb the age-appropriate geography and gain a better sense of their place in the world. There’s a Map on My Lap! 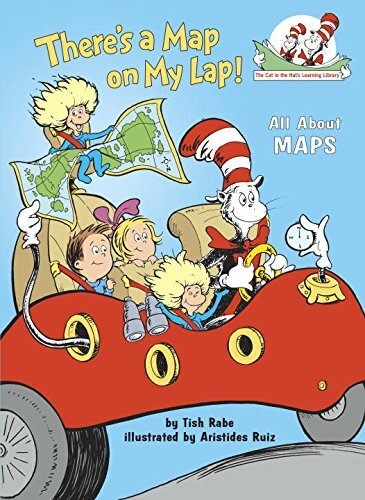 : All About Maps (Cat in the Hat’s Learning Library): The Cat in the Hat introduces beginning readers to maps–the different kinds (city, state, world, topographic, temperature, terrain, etc. ); their formats (flat, globe, atlas, puzzle); the tools we use to read them (symbols, scales, grids, compasses); and funny facts about the places they show us (“Michigan looks like a scarf and a mitten! Louisiana looks like a chair you can sit in!”). 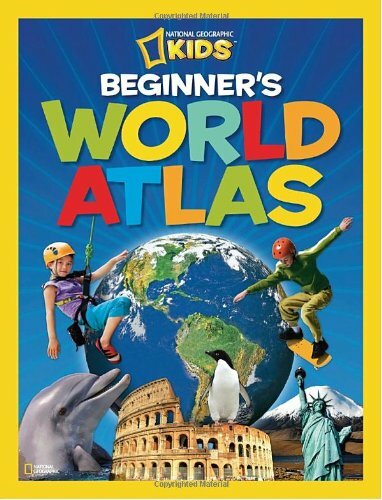 National Geographic Kids Beginner’s World Atlas: With completely up-to-date facts-at-a-glance, a glossary, pronunciation guide, and comprehensive index, this completely revised atlas takes young readers on a high-energy tour of the world and will be a must-have in every home and school. Vibrant color, fresh design, amazing photography, and new icons will help kids quickly identify information related to land, plants, animals, languages and culture, and all aspects of the physical and political world. Parents and teachers will appreciate the front matter with information for children about maps and how to use the atlas. Where Do I Live? : Children will gain a whole new understanding of the world we live in with this fun, first-look at geography. This engaing picture book is like a mini virtual globe for kids! Starting in their bedrooms, children will travel outside for a look around the streets of their neighborhood. Then, they’ll zoom out for a bird’s eye view of their town, city, suburb, and countryside. They’ll move out even further for a view of the states, the country, and the different continents. The next stop is space, for an exciting look at our solar sysem and universe! From there, they’ll trace their way home again. 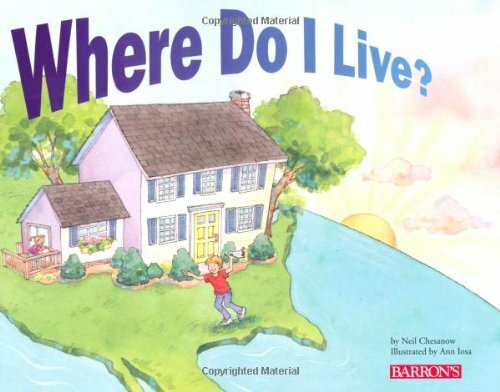 A fun mini quiz in the back lets kids show off what they’ve learned about where they live. 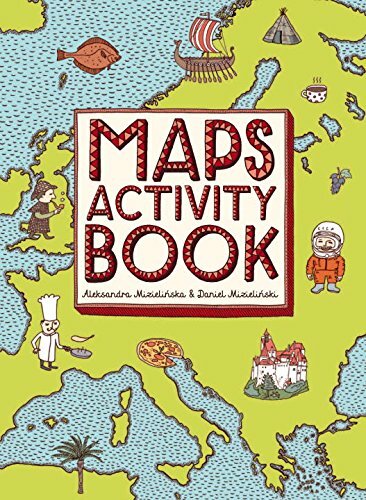 Maps Activity Book: Following the best-selling Maps, the Mizielinskis return with a companion activity book. Bursting with fascinating facts and puzzles from around the world, this book offers hours of entertainment to young adventurers. Informative and inspiring, the myriad activities in this book challenge the reader to discover something new and explore their imagination to draw, decorate and design on every pull-out page. 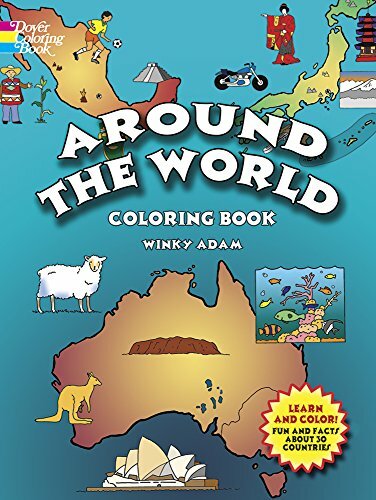 Around the World Coloring Book (Dover History Coloring Book): Ideal for home or classroom use, this entertaining and educational coloring book helps youngsters identify and locate Mexico, Argentina, Saudi Arabia, India, Spain, France, Nigeria, and 23 other countries of the world. A map of each nation contains names of major cities and is accompanied by ready-to-color pictures of each country’s national flag, landmarks, and natural resources. Engaging facts and statistics highlight the unique features of each country. A useful learning tool for elementary school students, the Around the World Coloring Book will also provide preschoolers with challenging activities. 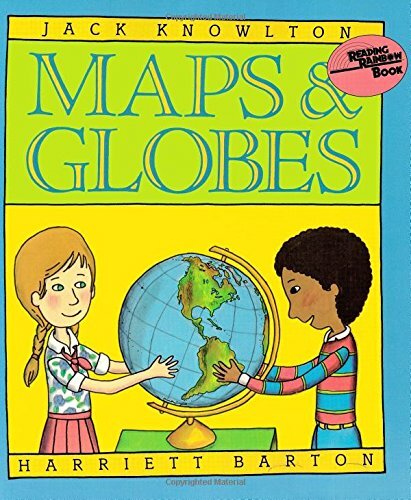 Maps and Globes (Reading Rainbow Book): This comprehensive look at geography and the environment, Maps and Globes, can take you anywhere—to the top of the tallest mountain on earth or the bottom of the deepest ocean. Maps tell you about the world: where various countries are located, where the jungles and deserts are, even how to find your way around your own hometown. If you take a fancy to any place on earth, you can go there today and still be home in time for dinner. So open a map, spin a globe. The wide world awaits you. 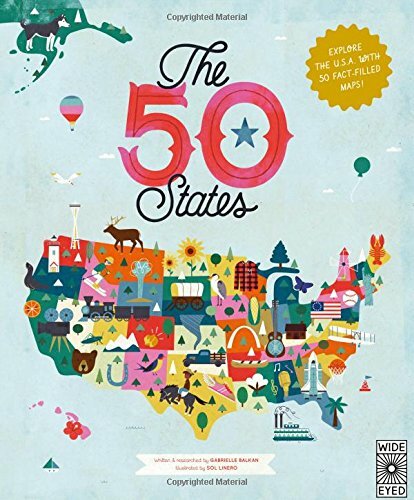 The 50 States: Explore the U.S.A with 50 fact-filled maps! : Be inspired by the inventiveness, beauty and diversity of the United States in this curious collection of fact-filled maps. Explore thousands of wondrous locations and be awed by the achievements of hundreds of people who helped make America what it is today. Celebrate, explore, enjoy! 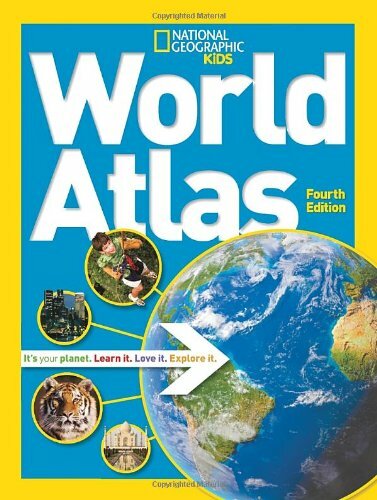 National Geographic Kids World Atlas: National Geographic’s classic atlas for kids is now fully revised and updated, with a reduced trim that makes it easy to carry and easy to browse. Complete with geo-themed games, crosswords, picture puzzles and more, this is the atlas for today’s young explorers, as well as the perfect homework reference source. Like these map books? Find even more engaging book lists for kids with more than 100 book-themed reading lists! 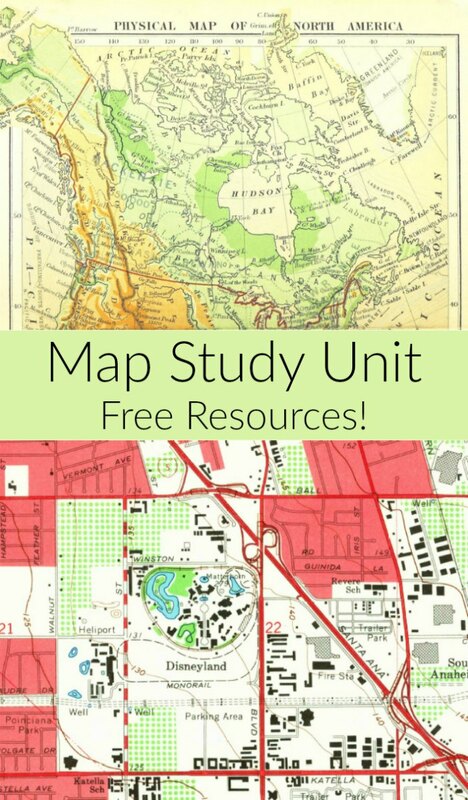 In addition to offering recommendations of map books for children that kids will love and learn from, I’ve teamed up with some fellow bloggers to offer you homeschool and in-class map unit study resources! These unit study resources may contain affiliate links. This is great! We studied geography and cultures last year and used some of these books. What a wonderful list of books. Many of them we own and use regularly some are new ones we will have to check out. Sharing with my followers. Thanks for sharing on Inspire Me Monday. I hope you have a great week!! These look like a great book list. I am planning to introduce geography in our homeschool next year! I have considered several of these books. I am looking at the Scrambled States book and game. Have you read or played this? Oh you’re going to love the Scrambled States game! I used to love looking at maps as a I kid. I love geography. I hope to instil that love to my children too. Great idea to get a map book for them to learn! We love maps! It actually started because my husbands travels a lot. So we would look at where we are and how far he was going. It just branched out from there! We are taking a family trip this summer! My kids are going to love some of these books. Thank you for stopping by the Learn & Play Link Up! 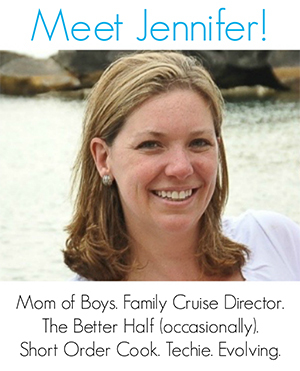 This post is featured on Christian Montessori Network this week. Wow! Thanks for the heads up on the feature 🙂 And I hope your kids have fun mapping out the trip. I know we always love seeing where we’re going on the map.